These past few weeks, I was just too busy to blog. Even now I am fighting sleep, but I feel that if I don’t try to get back into a blogging routine, I might just not start blogging again anytime soon. It’s not that there’s nothing to write about, it’s just that the everyday offline life is taking up all my time and energy right now. It’s June again, and that is always just about the busiest month of the school year. One more month before our summer holidays begin, but so much left to do; at school, at home, at work…. 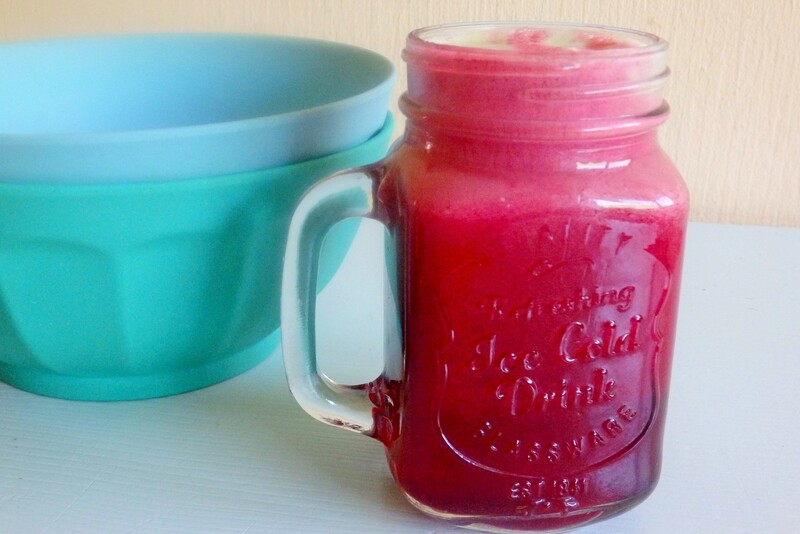 My favorite juices are made with red beets, apples, carrots and pears ( and the occasional piece of cucumber). The beautiful pink colour is very attractive to the girls. 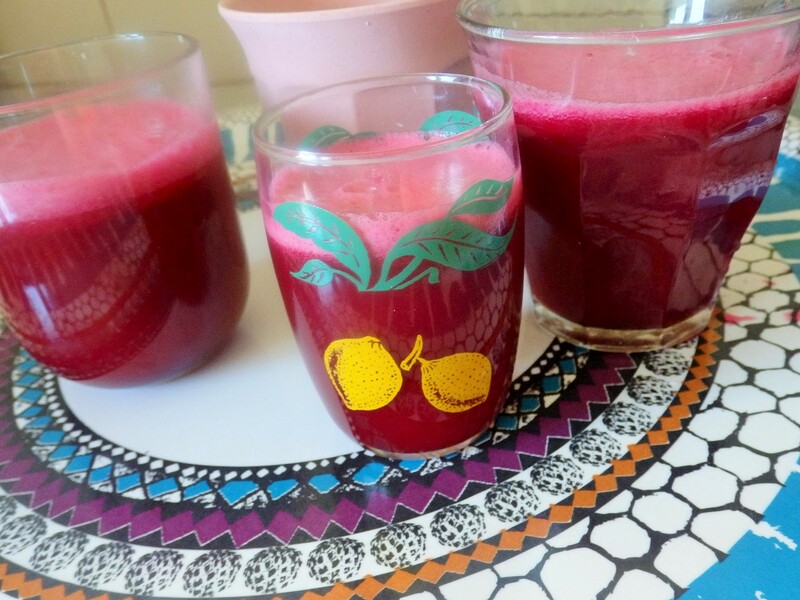 I call these beautiful red drinks ‘princess juice’ and and enjoy watching the kids drink in all those lovely vitamins and all…..
During which we will embark on a whole new exciting green adventure….. I should share some of it with you soon!